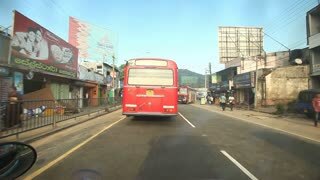 Search Results for "red bus"
KANDY, SRI LANKA - FEBRUARY 2014: Driving behind red bus in Kandy. Kandy is a major city in Sri Lanka, and it is the second largest city in the country after Colombo. KANDY, SRI LANKA - FEBRUARY 2014: View of red bus from a moving car. Kandy is a major city in Sri Lanka, and it is the second largest city in the country after Colombo. The red excursion bus goes on the city street in the downtown. Blurred image. 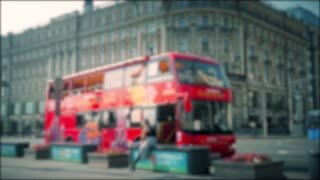 Famous red bus pulls up to stop sign in the city of London as the camera pulls away from the scene at the end. A second red bus begins to pull up behind the first city bus. 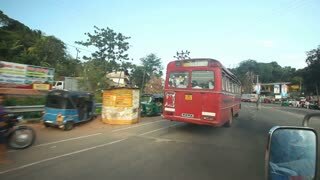 Darwin Australia tourists sightseeing Big Bus double decker slow motion clip. The bus going on a Darwin town street on a nice weather. Red bus with Australian flag. Big bus Darwin explorer. Bus tour, London, England - June 20, 2018. View of open top red bus with tourists and London streets busy with traffic and people. View from tour bus. Bus tour, London, England - June 20, 2018. 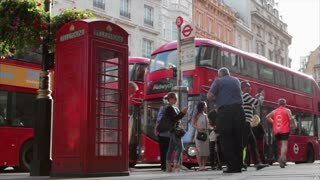 View of open top red bus with tourists and London streets with old beautiful atchtecture of buildings, traffic and people. View from tour bus. San Francisco, United States - 1980: Sightseeing bus Grey Line Tour, the popular double-decker red bus carrying tourists for ride in the busy streets of San Francisco downtown. Archival in the 1980s. 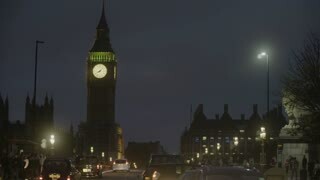 Double-decker red buses on Westminster Bridge and zoom in Big Ben clock London landmark.The London bus is an iconic symbol of the city. A red bus offering city tours moves with other traffic down a Dublin street. Pans and zooms past a red bus to pedestrians waiting to cross a street by 9 July Avenue in Buenos Aires. Red bus driving by park.